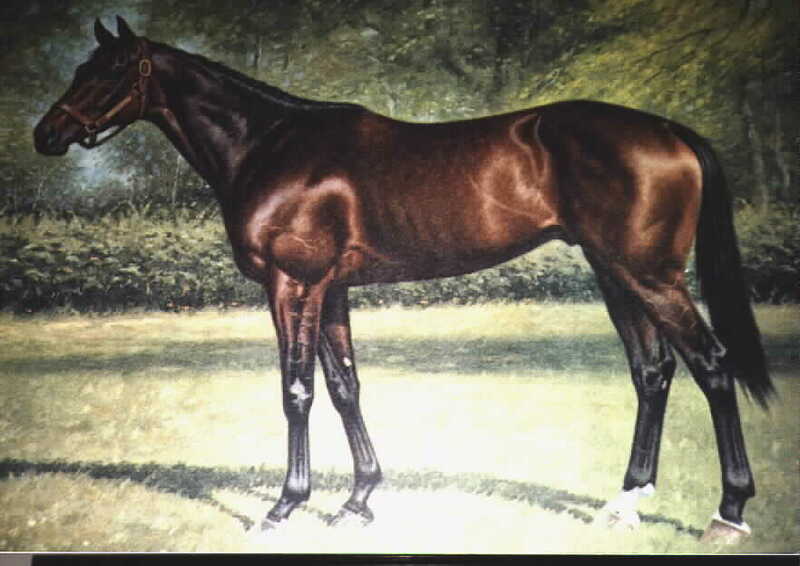 For more horse racing related items check out our bronzes, photographs, and the sports area. PRICES FOR THE FOLLOWING PRINTS ARE EXCLUDED FROM ANY OTHER ADVERTISED DISCOUNTS. "THE EUROPEAN HORSERACE OF THE YEAR" OR "THE AMERICAN HORSERACE OF THE YEAR" SERIES. Large format: The print area measures about 18" x 22" and the frames measure about 28" x 30". 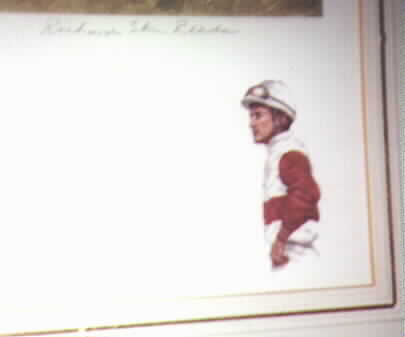 Undefeated Champion Filly 1974 and 1975, Fatally injured in Match Race, Belmont Park, July 6, 1975. 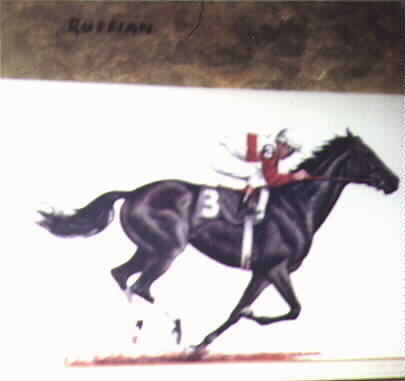 Print shows a profile image of Ruffian facing left in her stall with a red blanket in the corner. 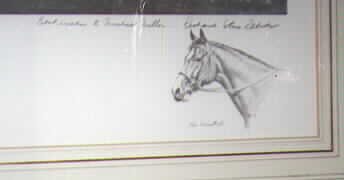 The print is remarqued in the lower left border with an racing scene of Ruffian and in the lower right with a sketch of the jockey. Print is signed Richard Stone Reeves. 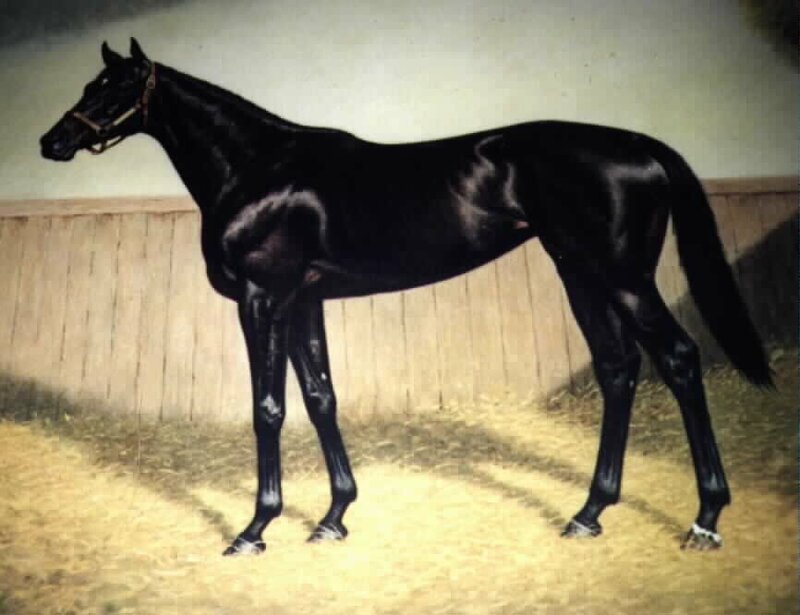 "Forego", The Great American Champion, Bred and Owned by Lazy F Ranch, Bay gelding by Forli-Lady Golconda, Foaled in Kentucky-1970. Print shows a profile image of Forego facing left in a field. 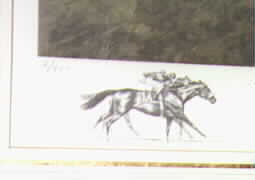 The print is remarqued in the lower left border with a racing scene of Forego and three otherhorses. Signed Richard Stone Reeves. "Three Kings", Nijinsky II, Spectacular Bid, and Secretariat at Claiborne Farm, Kentucky, 1981. 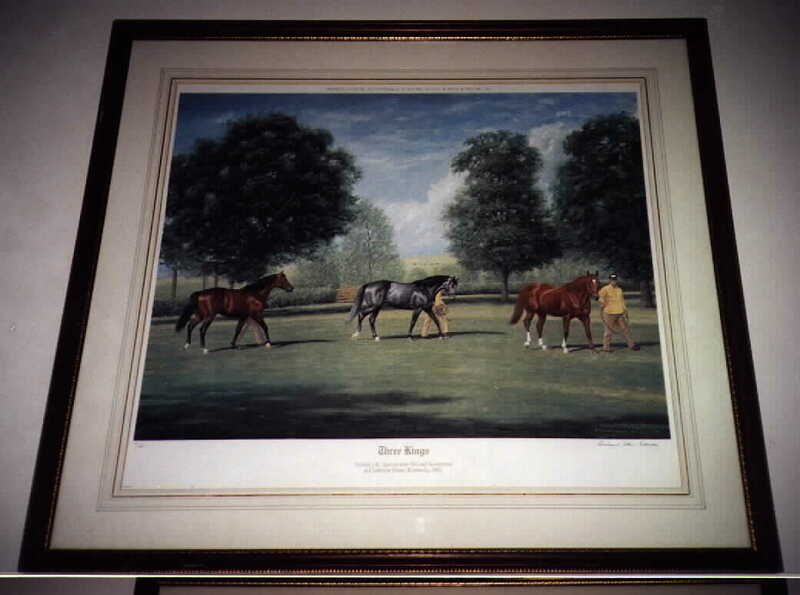 Print shows all three stallions being walked together in a field. Signed Richard Stone Reeves. 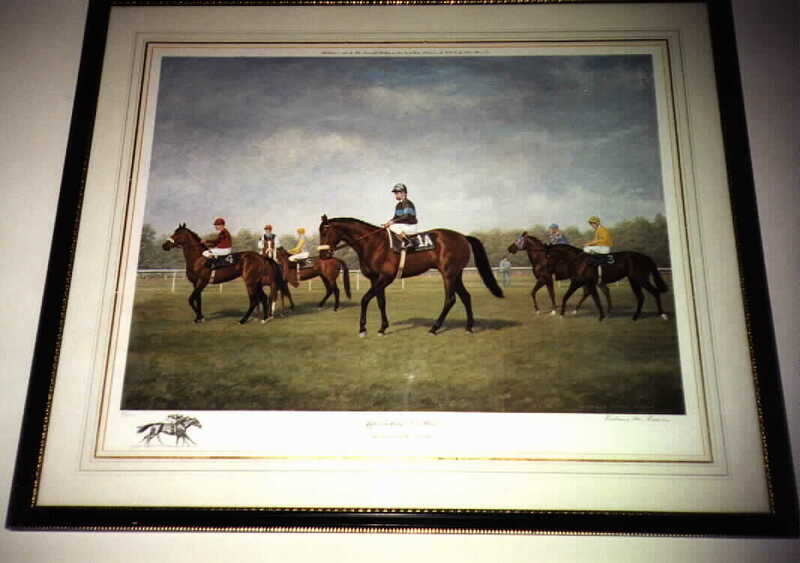 "Approaching the Start", The Arlington Million 1981, John Henry shown in center. Five other horses shown (The Bart, Mrs. Penny, Key To Content, Match The Hatch, and Madam Gay) with riders. The print is remarqued in the lower left border with a racing scene of two horses. 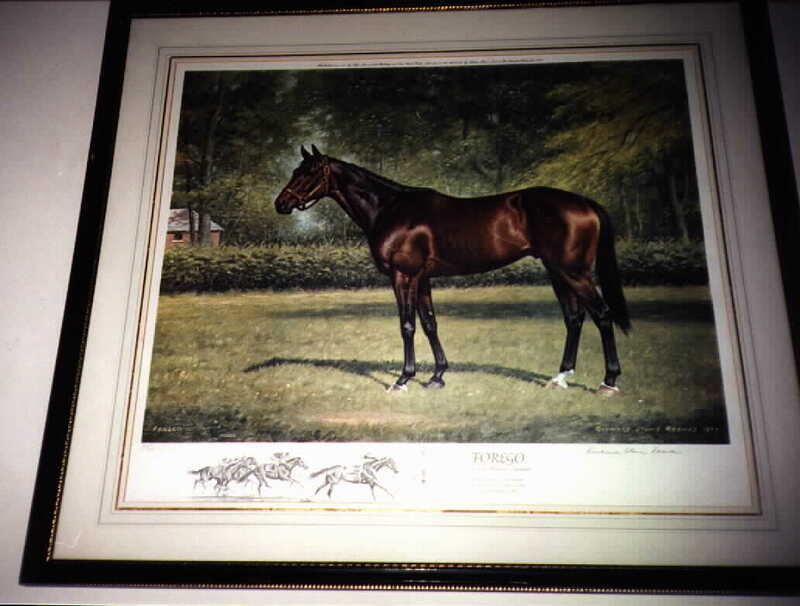 Signed Richard Stone Reeves and comes with race description on back. 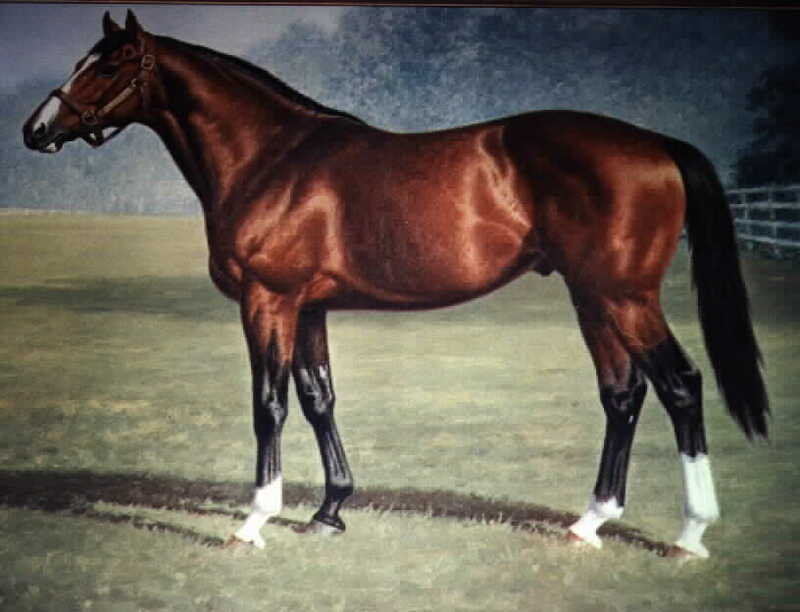 "Northern Dancer", The World Leading International Sire, Foaled in 1961 by Nearctic-Natalma by Native Dancer, Winner of Kentucky Derby, Preakness, and Queen's Plate. 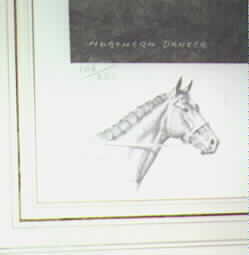 Print is a profile image of Northern Dancer in a paddock. The print is remarqued with a sketch of Nijinsky II in the lower left and in the lower right is a sketch of The Minstrel. The print is signed and personalized saying: Best Wishes to (Name withheld) Richard Stone Reeves. 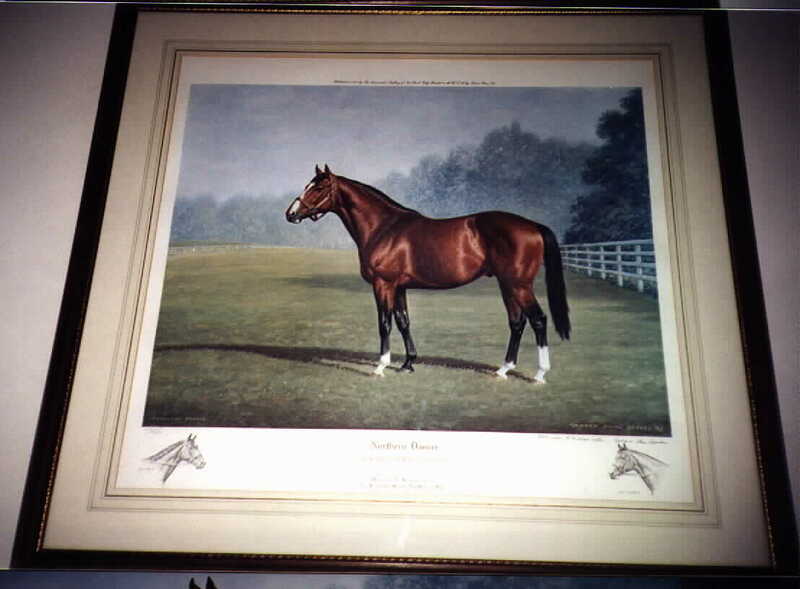 Please see the consignment page for another Northern Dancer print. Large format: The print area measures about 22" x 28" and the frames measure about 28" x 30". 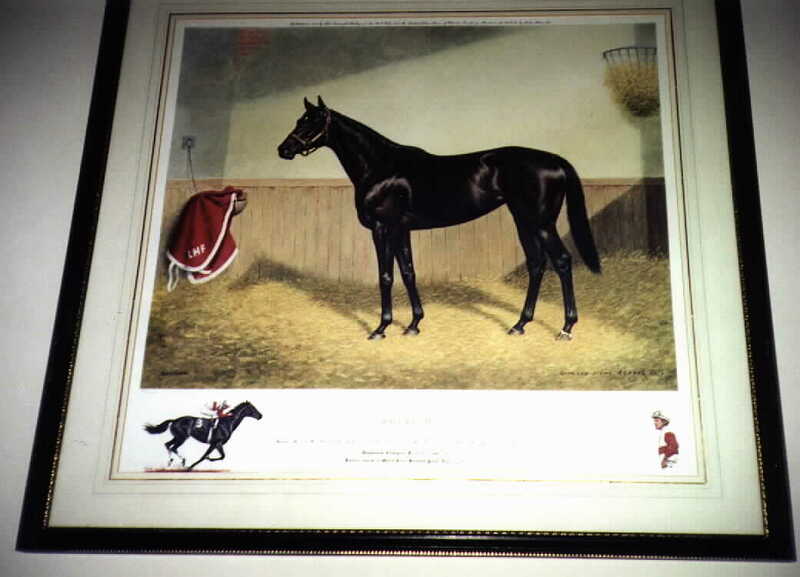 Below is and original lithograph produced by Currier & Ives and some other equine art. 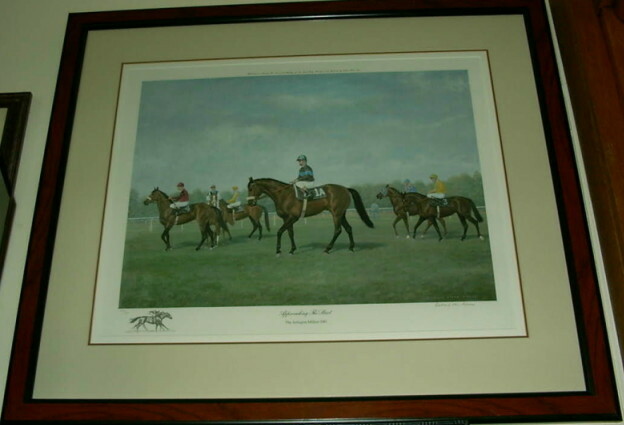 A copy sold at the Garden State Race Track dispersal sale on 22 June 2001 for $4,200 plus ten percent buyer premium.